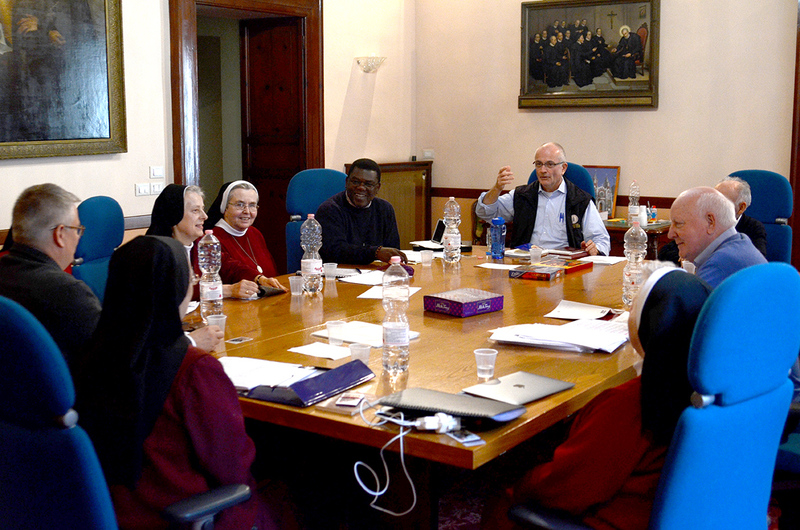 (Rome, Italy) A meeting of the Secretariat of the Redemptoristines nuns took place in Rome from 13th to the 17th of November. Present were Fr. General, Fr. Lage, Sr Imma, Fr. Majorano, Sr. Ewa, Sr. Gabrielle, Fr. 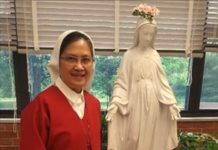 McAinsh, Sr. Magdalena, Fr. 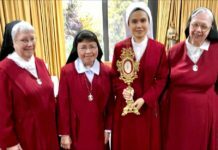 Nyandi , Sr. Marie Venonique and Fr. Chyla. 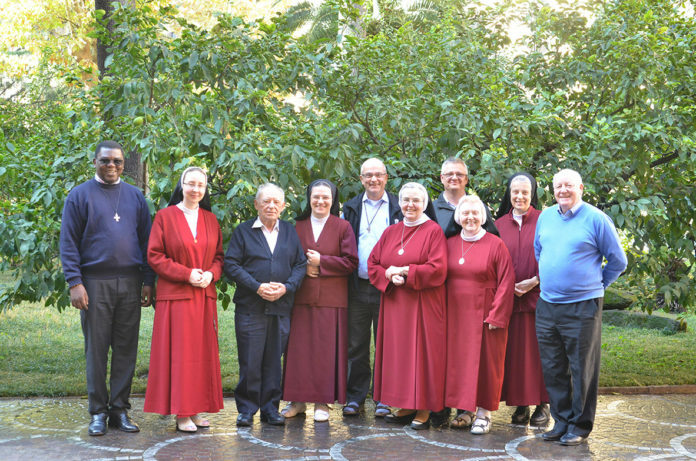 The Secretariat received a very comprehensive report on the situation in the monasteries and reviewed it in terms of numbers, viability and, in several cases, options for federating in line with VDQ and COR Orans which are two recent documents from the Congregation for Religious. 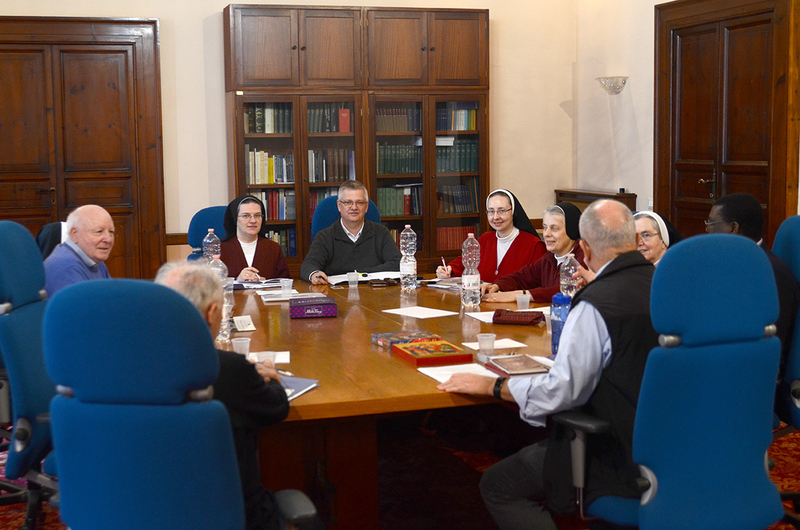 Reflecting on the situation of the monasteries of the Order, the Secrateriat tried to discern a way forward to support each Sister and each community. Options include one Monastic Congregation, one international Federal Association or several Regional Federations. These possibilities together with other matters discussed, will be presented to all the monasteries of the Order in a letter from Fr. General who will then hear the responses and present them to the Holy See. After much prayer and discussion some other options emerged. One was to have to federations and the other was to adopt the concept of one monastic Order or one Redemptoristine federation. The Former would involve less meetings while the latter would still require at least to international meetings every six years. Eventually it was decided that it would be in the best interest of the order to offer and even to propose going one monastic order or Federation of the whole Order. This is being done in terms of the unity of the order, the vulnerability and fragility of so many communities around the world, and as the best practical Response to the documentation which mandates federation for every autonomous monastery. Obviously this would not occur immediately but only after consultation with the order and with a proposal to the Holy See, requesting time to initiate this way of responding in fidelity to the documents.